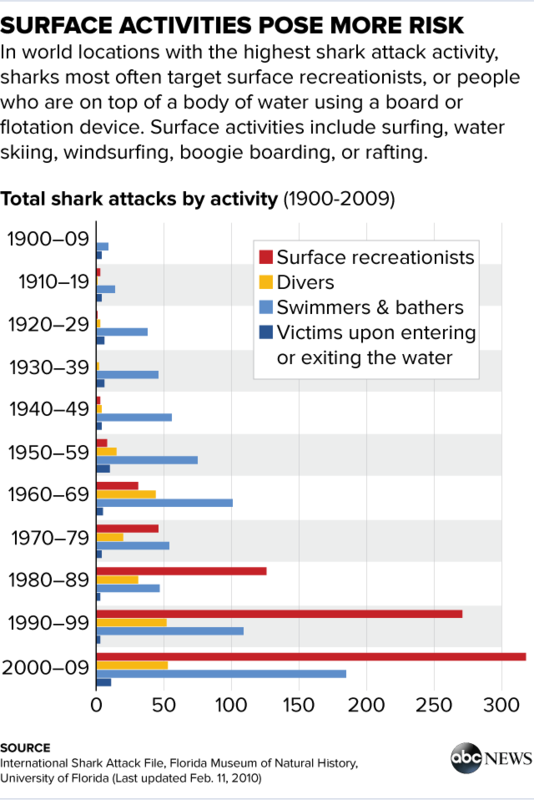 There are more shark attacks now but there are fewer deaths. While shark attacks may seem to be on the rise across the globe, that doesn't mean sharks are on a rampage, according to experts who note that it could in fact be the result of people seeking more fun in the oceans. Two youths were mauled about an hour apart on Sunday on North Carolina beaches that are about two miles away from each other. Last year, there were four shark attacks in North Carolina, according to the International Shark File, which tracks and verifies shark attacks around the world and is curated by the Florida Museum of Natural History’s George Burgess. Florida tops the list as the state with the highest number of shark attacks last year (28). That top spot is not surprising, Burgess said, given the state's year-round appeal as a surfing and swimming destination. Many of Florida's two-dozen shark attacks a year are relatively small bites by smaller species, said Burgess, who is also the director of the Florida Program for Shark Research. 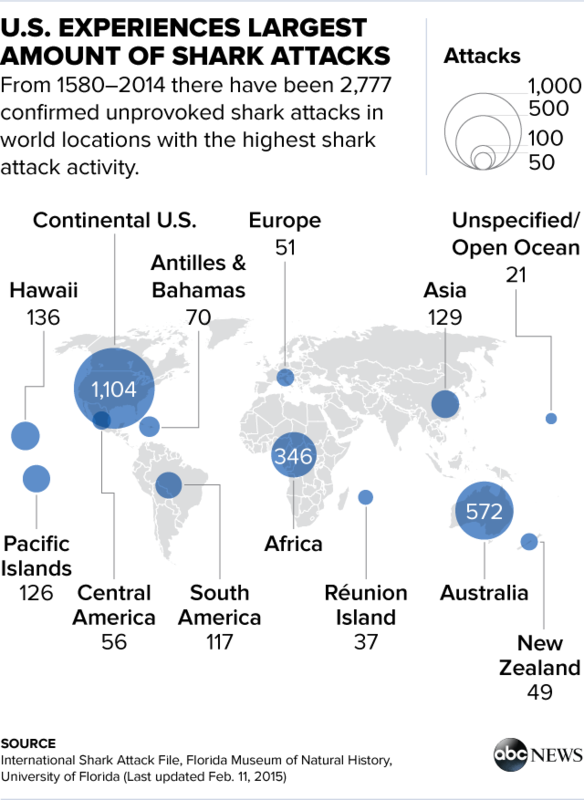 Despite the larger number of attacks, fewer people died from shark attacks last year compared to previous years, according to the International Shark Attack File released in February. That report stated that there were 72 incidents of unprovoked shark attacks on humans. Three people died last year from shark attacks, less than half the average number of shark-related fatalities over the past decade. “It’s amazing, given the billions of hours humans spend in the water, how uncommon attacks are, but that doesn’t make you feel better if you’re one of them,” Burgess said in a statement in February. While the number of global "unprovoked" shark attacks has grown at a steady pace since 1900, with each decade having more attacks than the previous, "the numerical growth in shark interactions does not necessarily mean there is an increase in the rate of shark attacks," according to Burgess' report. "Rather, it most likely reflects the ever-increasing amount of time spent in the sea by humans, which increases the opportunities for interaction between the two affected parties," the report summary states, pointing to growth in the global population and the interest in aquatic recreation. "Shark populations, by contrast, are actually declining or holding at greatly reduced levels in many areas of the world as a result of over-fishing and habitat loss, theoretically reducing the opportunity for these shark-human interactions," the report summary states.